Speaking during the Annual Editors Convention 2018, CS Joe Mucheru has promised that the government will pay back money owed to the media for advertising services offered. This was after Nation Media CEO Stephen Gitagama urged the government to pay the huge debt as it was crippling the media’s activities. “The government should uphold its stake to support journalism and pay the debt they own the houses as soon as possible as a show of commitment to support us and not because it’s a decent thing to do,” he said. CS Mucheru acknowledged that the media debt is something he was looking into as the government is committed to media development and press freedom. “The media debt is on my desk and we are doing everything possible to ensure that we pay them in a proper way, “he said. He also urged editors to focus on issues that improve development and foster unity in the country. “Kenya belongs to us all. When it burns, we all burn. When it flourishes, we all bask in its glory,” he added. 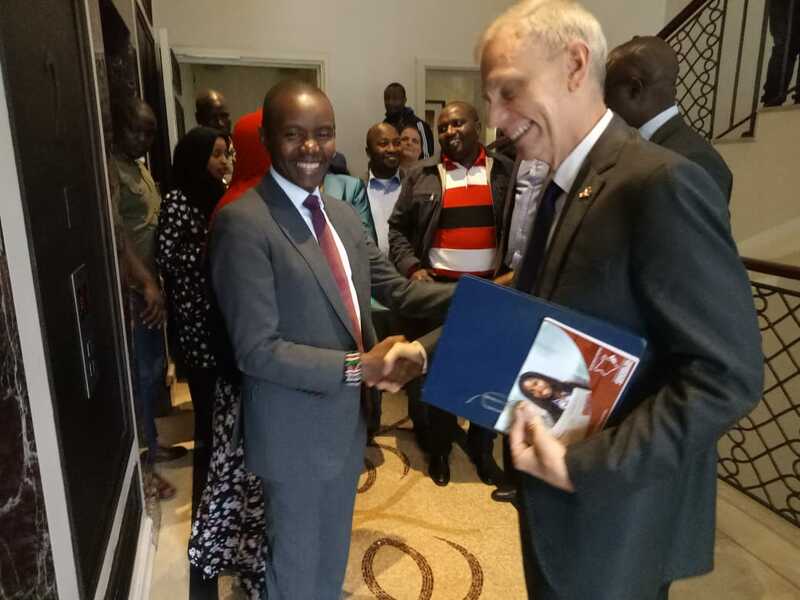 American Ambassador Bob Godec awarded the Kenya Editor Guild a grant of KSh20 million that would help to promote freedom of the media through training. He noted that free and independent journalism will help to grow the Kenyan democracy, while urging that threat and intimidation against the media is unacceptable.